Enjoy the convenience of walking downtown or to campus from this beautiful Craftsman 4 bedroom, 2 bath home that features a spacious entryway large enough to be a sitting room or office, a large living room with functional fireplace and hardwood floors, and a full walk-out basement. The large first floor master bedroom includes a walk-in closet. 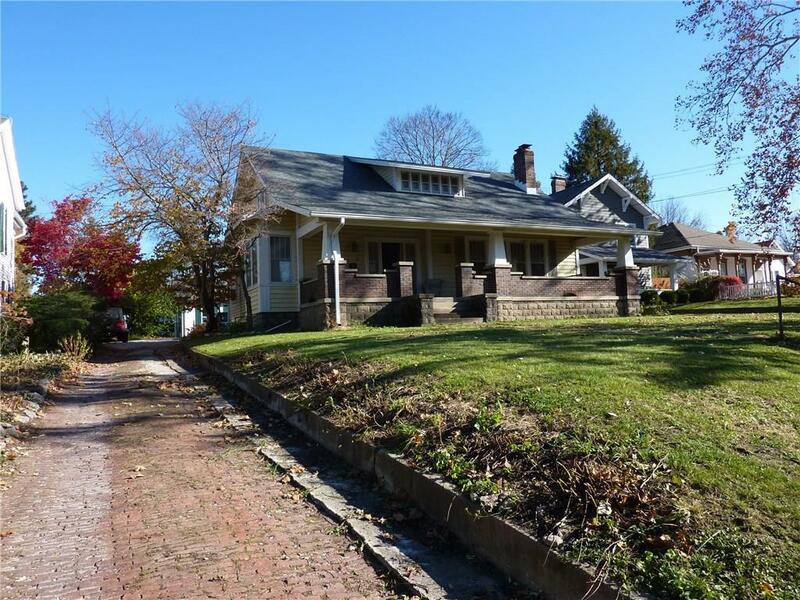 A lovely front porch with swing, partially fenced backyard, stone patio, & a 2-car detached garage. Entertain in the formal dining room or have a casual meal in the breakfast area of the kitchen. All appliances included. Historic features include built-in shelving in the living room & upstairs bedroom, a built-in corner hutch in the breakfast area, soaring ceilings, hardwood floors, & a grand porch.